For Sinews yt are shrunk. 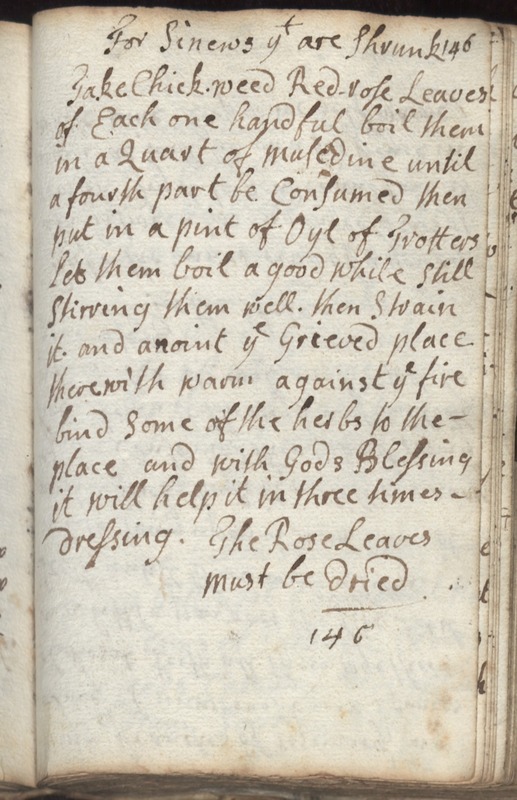 Take chickween red rose leaves of each on handful boil them in a quart of musedine until a fourth part be consumed then ptu in a pint off oyl of trotters let them boil a good while still stirring them well. Then strain it and anoint ye grieved place therewith warm against ye fire bind some of the herbs to the place and with Gods Blessing it will help it in three times dressing. The rose leaves must be dried.